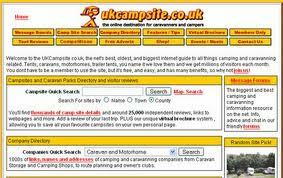 Since January 2003 I have been a member of ukcampsite.co.uk, a website and forum about everything and anything to do with camping. I’m not by nature a forum type person but through the years I have grown attached to this website, it has been there through thick and thin and my changing circumstances and fortunes are logged under the heading ‘outfit’ in my membership profile – Motorhome- Newer Motorhome (divorce) – Tent. I have followed threads, contributed to some and got to know some of the characters who appear regularly to share their wisdom and expertise. All of this web activity is monitored by Webby and Ratty who do a sterling job generally and have only removed my posts on a few occasions, for no explicable reason other than to remind everybody whose the daddy! This site has so much useful information from campsite reviews to free ads and of course the message forums, where you can ask anything and everything camping related (or not in some instances) and you will almost certainly get the help, information or just support you need. Webby and Ratty they keep things ticking along nicely and, when the arguments start getting too personal, they put a stop to it. I imagine it’s what it would be like in a family with 2 dads. Gassing on French Aires – apparently, whilst sleeping, thieves pump just the right amount of gas into your unit to knock you and your children out – without overdosing or killing any of you – and then these highly qualified anaesthetists nick your passports and euros et voila. Urban myth and factual event? Can you guess which side I’m on? 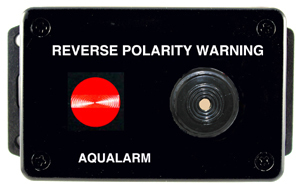 Reverse Polarity – You would not believe how hot under the collar some members get whenever this subject comes up, classic. I can not comment as to which side I’m on as I still don’t have a clue what they are talking about, I imagine it’s something to do with the earth spinning the other way due to plugging an electric hook up in the wrong hole on a campsite in the Dordogne. But I could be wrong. How to behave on a campsite – One of my favourite threads, I love to put the odd maverick remark in amongst the Caravan Club members rules and regulation brigade comments, something like “I like to party into the night ” or “dogs should be able to poo wherever they please” usually hits the spot. The campsite reviews are a godsend, they are mostly current and offer impartial and invaluable information on every type of campsite in the UK and France. I’m especially impressed with the map search facility where you can just click on an area you’re interested in and it will show you campsites within a 20 mile radius – even in France! Alongside campsite reviews are the tent reviews which have proved equally invaluable just recently, they are all written by real punters and not by marketing companies promoting their product. If you have a question to ask, need some advice or want to discuss anything camping or caravanning this is the site to go to. There are some members who have a wealth of knowledge and many years experience and are more than happy to share this with anyone who asks.